Episode 70: The Three Doctors OR Stop Being Dumb, Why Are You Me? For our 70th episode, we took a trip back with THE THREE DOCTORS! 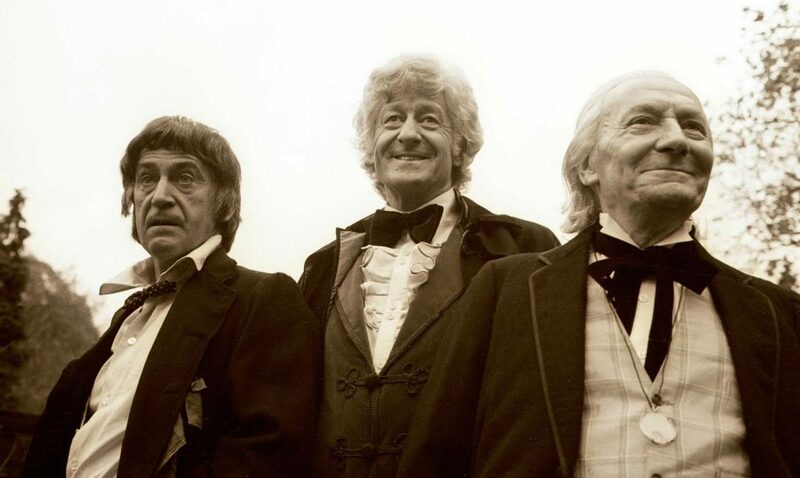 Facing an oddly shaped black hole of unimaginable behavior, the 3rd and 2nd Doctors (…and the 1st Doctor who’s trapped in a temporal tide pool) face down Omega, who has apparently taken some madness tips from Rita Repulsa and who is Hell Bent on wreaking his vengeance on the Time Lords. We also report on some news out of NYCC’s BBC America panel, and a whole lot more!